D.I.Y. QEE Project: 10¡¨ D.I.Y. Qee Bart Simpson has just completed theArt Exhibition World Wide Tour. Now is your chance to own theseone-of-a-kind original Bart Simpson Qees. 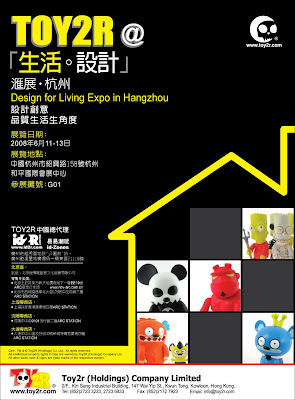 Toy2R will be holding the10¡¨ D.I.Y. 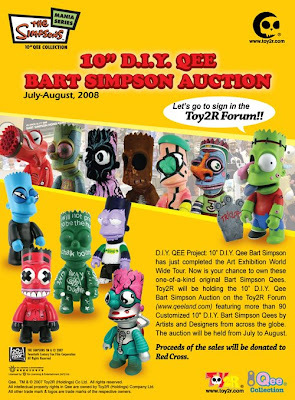 Qee Bart Simpson Auction on the Toy2R Forum ( www.qeeland.com) featuring more than 90 Customized 10" D.I.Y. Bart Simpson Qees byArtists and Designers from across the globe. The auction will be heldfrom July to Aug. Proceeds of the partial sales will be donated to Red Cross. 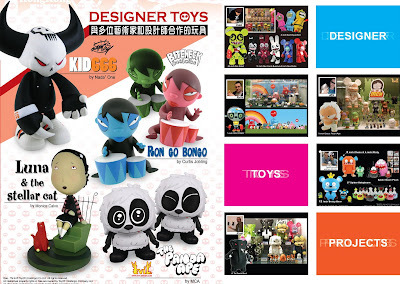 Toy2r is the very first to see the potential and focus on the designer toy phenomenon,combining Designer art and developing Vinyl Toys for the toy market. 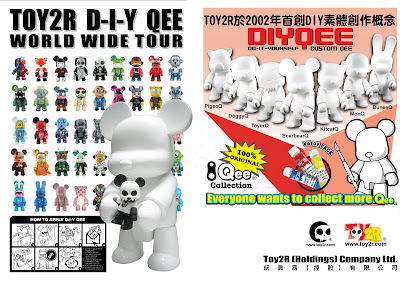 Since 2001, Toy2r has been a focal point for collectors of Designer Vinyl toys. 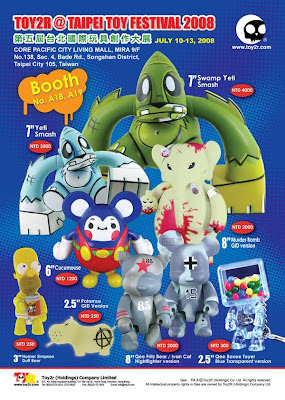 Toy2r continues to grow with many new, upcoming and well-known artists, working together on many projects. 8 inch DIY (Do-It- Yourself) Qee program for aspiring designers with a touring gallery show! Qees have recently become both fashionable and desirable collector's items. They can be posed on your nightstand or worn as a stylish touch on your key ring. Get into the intoxicating habit of collecting Qee figurines today! we found a talent Artist to make this specail edition Halloween Qee for Toy2r. Design by Halli Civelek From Reykjavik, Iceland. Limited 2000 sets only. where you can see character illustrations, design, and a video of him dancing in New York." Price: US 65 - 8" Qee Fritz Bear Nightfighter ver. Price: US 65 - 8" Qee Ivan Cat Nightfighter ver. 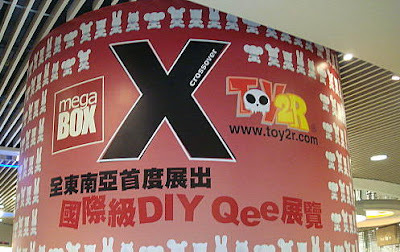 Toy2R with Mega Box to bring DIY Qee exhibition, more than 80 Customized D.I.Y. Qees by Artists and Designers from across the globe first release in Asia. Opening Time: 10:00a.m - 10:00p.m. in one of Hong Kong's up-and-coming commercial and retail districts. The innovative "Big Box" concept with spectacular design and unrivalled tenant mix makes MegaBox the newest shopping Mecca. 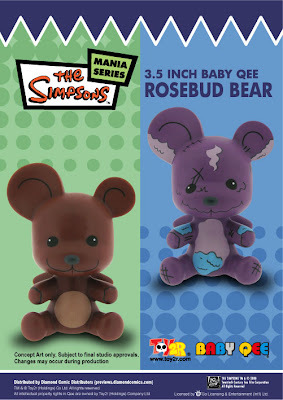 Regular and Worn - in 2.5-inche Qee Bear Keychain and 3.5-inch Baby-Qee Vinyl. the "newer" - looking Regular-version of 'Bobo' belonged to Monty (Burns)as a child, while the Worn-version had by then been in Maggie Simpson's possession. 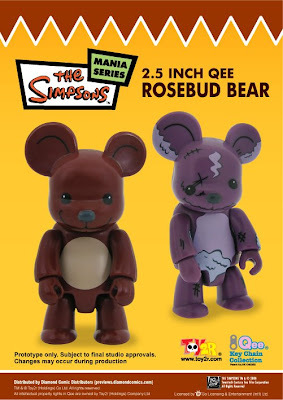 last seen on display at NYTF - both Rosebud-versions are available as 2-packs via PREVIEWS catalog.